Would you know if you’re using an email client or web-based email? Read on to know more. 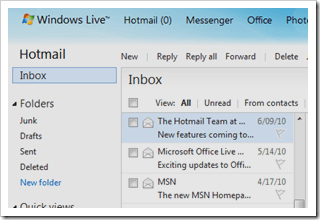 Windows Live Mail is a perfect example of an email client. An email client is a computer program that allows user to manage emails using a desktop computer. Users must have an email address set up and correctly configured in the email client before they can access the service. In addition to a working email address, other settings and configurations include passwords, email port server (e.g.POP3, SMTP), port numbers, and other preferred settings. The email client can retrieve new emails from the email service provider’s server at a predetermined time. New emails are delivered via the email service provider’s mail transfer agent and stored on the desktop computer. When a user sends an email, the email client sends it to the service provider’s mail servers via the mail submission agent. An email client can also be set up to receive emails from other email addresses a user may have. Viewing and composing emails is possible even if the computer is offline. Since emails are downloaded into a desktop computer, an updated anti-virus is important to scan them. Mozilla Thunderbird, Microsoft Outlook, and Windows Live Mail are good examples of email clients. Webmail is an email service that is accessible through a device’s web browser when it is connected to the internet. Here, email messages are stored and accessed in the email service provider’s online servers. This allows users to access their emails wherever they are as long as their device is connected to the internet. However, experts advise against users accessing their webmail from a public computer as it may compromise account security. Webmail can also be configured so that users can access it through an email client. Many internet service providers such as AOL and AT&T offer webmail to customers as part of their subscription. Some of the first webmail services offered to the public came from EarthLink, Verio (a web hosting service), universities, and large companies. In 1996, Hotmail and Rocketmail, both webmail service providers, gained popularity for the free service they offered to the public. Now, what’s the difference between an email client and webmail? These two email services are the same at their core. Both allow users to manage, send and receive email. It is even possible to setup an email client to access webmail. The only difference lies in the way each can be accessed. An email client is a computer program that saves all incoming emails to the computer. This feature allows users to manage their email even if there isn’t an internet connection. Webmail allows users to access emails via a web browser and thus can only be done if the device has an internet connection. Here, emails are saved online in the website’s servers. 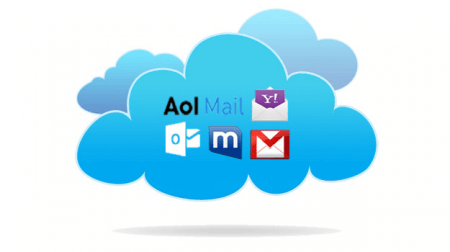 Gmail, Hotmail, and Yahoo Mail are the more popular webmail services available today. Here’s a video that talks about the differences between webmail and an email client.